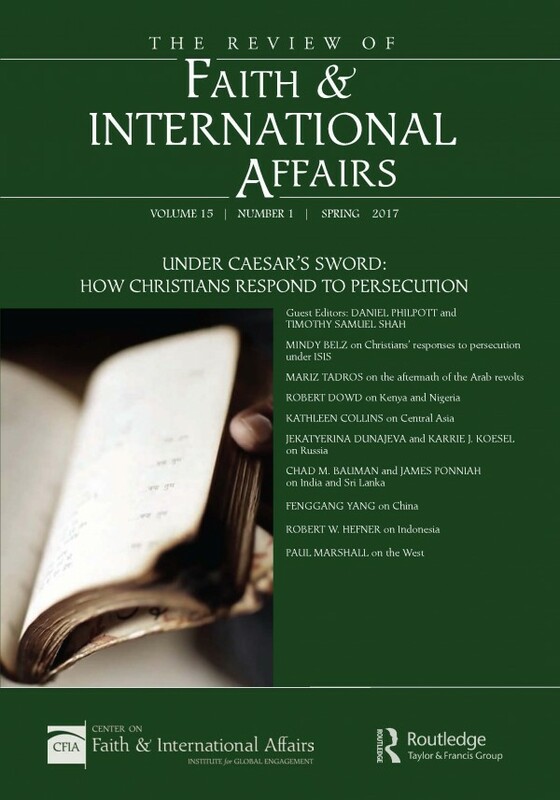 The spring 2017 issue of The Review of Faith & International Affairs is a special theme issue titled, “Under Caesar’s Sword: How Christians Respond to Persecution.” Guest-edited by Daniel Philpott and Timothy Samuel Shah, this issue is the result of a collaboration with the Under Caesar’s Sword project at the University of Notre Dame. The project is the world’s first global investigation of Christian responses to persecution. Launched in fall 2014 by a grant of $1.1 million from the Templeton Religion Trust, the project is carried out by a team of 15 scholars who have studied Christian responses in 25 countries.